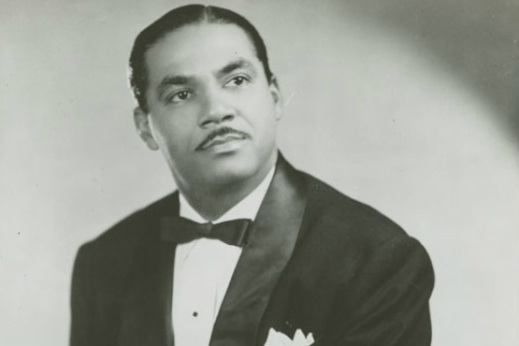 The combination of mambo and jazz reached the peak of its expression through bandleader Machito (Frank Grillo) and his Afro-Cuban, big-band orchestra. Mario Bauza, their musical director and Machito's brother-in-law, brought together percussive Cuban rhythms in a jazz band arrangement. This integration took place in New York City, not Havana. ﻿The band incorporated Latin instruments such as the congas, bongos, and timbales. They also introduced the clave rhythm and set the model in Afro-Cuban dance music. The Machito Afro-Cubans were the first multi-racial band made up of African-Americans, Latinos, and Anglos. 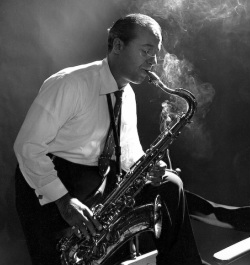 Some famous musicians included Charlie Parker, John Birks "Dizzy" Gillespie, Flip Phillips, and Buddy Rich. Clave is the rhythm used in Afro-Cuban music. It features one measure of syncopation and one of non-syncopation. The 3-2/2-3 clave concept and terminology was developed in New York during the 1940s by Mario Bauza. The first Afro-Cuban fusion to be based in clave was “Tanga” (1942) composed by Mario Bauza and recorded by Machito and His Afro-Cubans. It depended on a soloist’s individuality, explored modal harmony, and featured tenor saxophonist Flip Phillips in a five-minute recording. The piano guajeo (Cuban ostinato melody) is in a style called ponchando (non-arpeggiated chords). It can be played repetitively or as a varied motif similar to jazz comping (accompaniment). In “Que Vengan los Rumberos,” the chord progression moves from the two-sided (2-3), to the three-sided (3-2), and back to two-sided (2-3) clave.